Below you will find Site Design Consultants' "tree inventory plan" of the proposed combination of five (5) separate lots. I have an architecture degree and have been employed as a building code and zoning consultant for over 10 years. This is one of the most confusing plans I've ever read. I made it extra big so you can see what I'm talking about; you should be able to enlarge it by clicking on the image and then zoom in by clicking on it again. One might argue it's an intentionally busy drawing to mask the detrimental impact the proposal will have on the neighborhood. 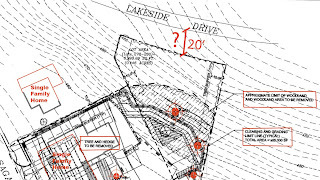 Below: The developer shows a the property line of the undeveloped woodland lot ( 1 of 5 lots to be combined) with a 20 foot buffer between the undeveloped property line and Lakeside Drive. 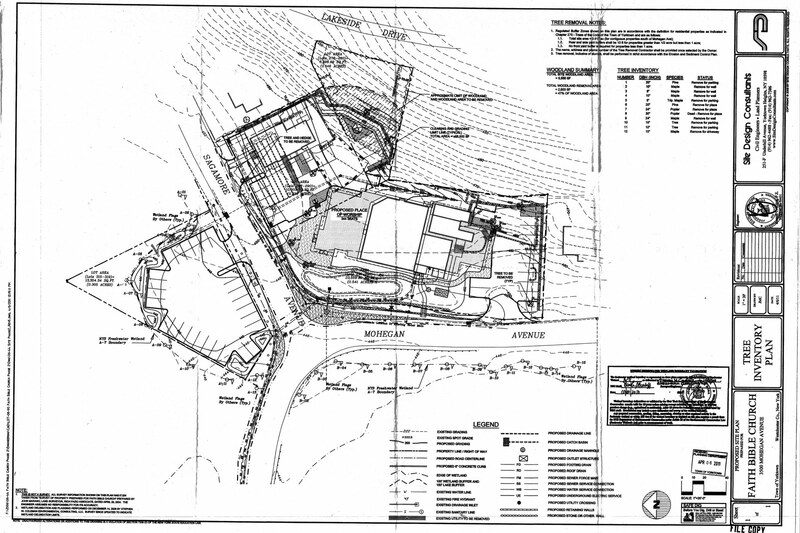 County records clearly indicate the property line abuts Lakeside Drive. 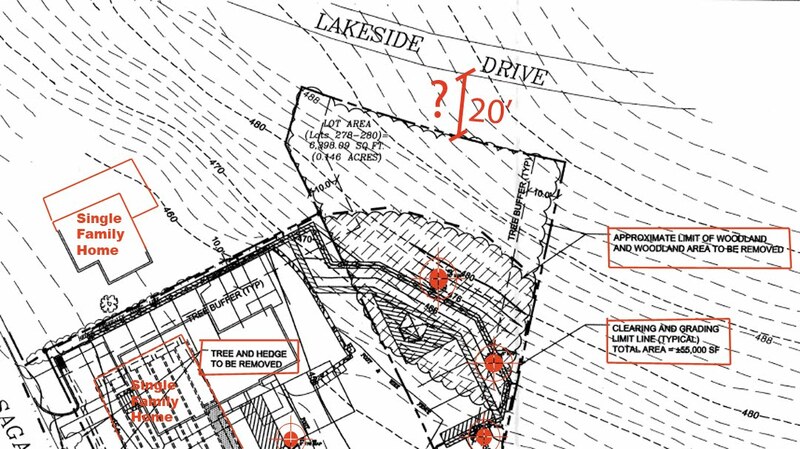 Considering the developer proposes to clear and grade that entire lot, the residents of Lakeside drive are keen to know: is there a 20 foot buffer between the clearing and grading of the steep woodland lot, or will it run all the way up to Lakeside Drive? 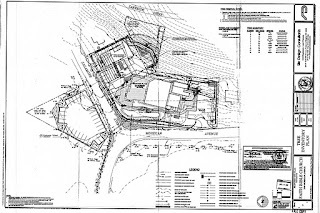 It's interesting to note that the developer's engineer, Joseph Riina, chose to cut off the two single family homes immediately adjacent to the site in this plan; none of the other homes, driveways, etc...immediately around the proposed development site are shown either. I went ahead and filled in the footprint of the house they are demolishing and the house the parking lot will come within 10 feet of. Considering the dramatic, adverse impact this proposal will have on the neighborhood, I guess it's advantageous for them to obscure the character of this small, residential community as much as possible.